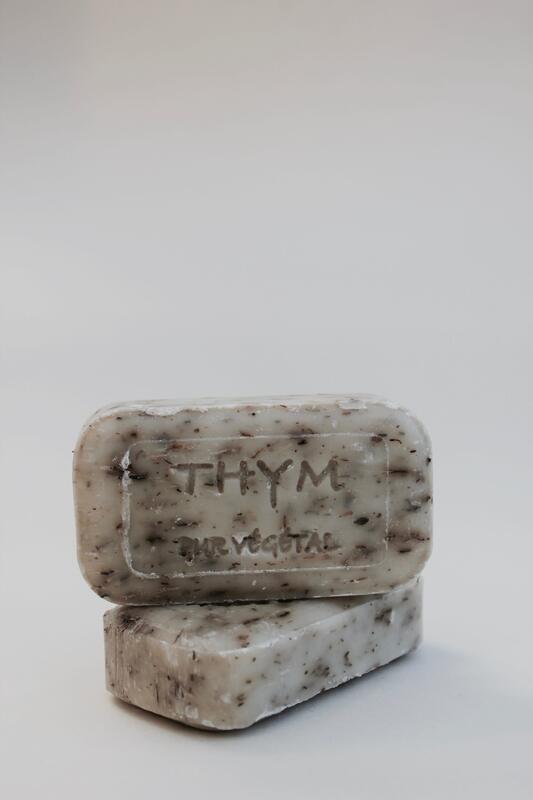 This French Handmade Vegan Thyme Soap Bar looks and smells natural and is made in a traditional artisan method in France. It's 100% vegetable based and uses essential oils and plants leaving your skin soft and protected. Great in every bathroom. 100g per bar.